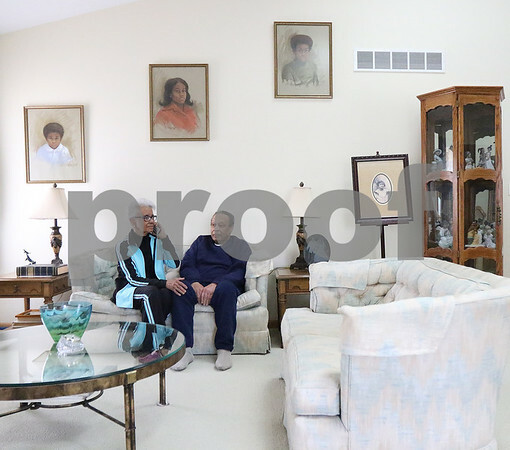 Bennetta Stearnes sits with husband Bob Stearnes in their DeKalb home while talking to their daughter on the phone before lunch on Tuesday, Feb. 23, 2016. Bob has suffered with Alzheimer's disease for more than 15 years and Bennetta is his primary caregiver. She use to take him to the senior day care before the Illinois budget impasse closed the program's doors and the closure has put a strain on caregivers throughout the county.